This is Cali. She is a 6 year old Siberian Husky. She is a loving, amazing girl that deserves a wonderful home. She loves to show her humans love with tons of hugs and kisses and will lie at your feet comfortably, She is potty trained and crate trained and knows many verbal commands and hand signals, such as sit, stay, and lay down. She does not show destructive behavior when left alone during the day. She is an amazing dog, but we believe she would do better in a family without small children and with lots of exciting outdoor adventures. 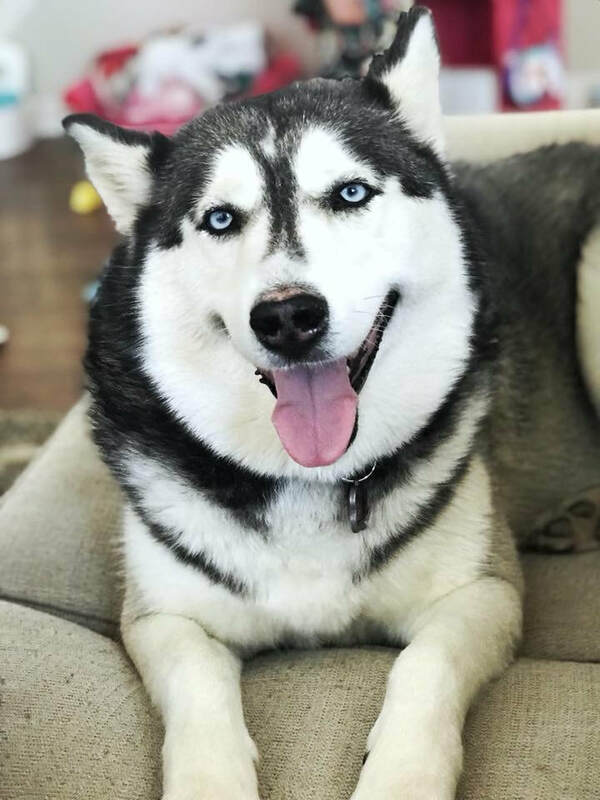 Due to her social skills that could use some help, Cali is looking for a home with a family that has lots of land to roam and who like to take long walks and/or hikes, possibly with other Huskies or high energy dogs that can relate to her. She would like a family that can provide her with lots of opportunity to exert her energy but has time to help with her anxious behavior. She loves people but exhibits anxiety around other dogs such as hyperactivity, whining, and restlessness. She is good with our girls, but she easily knocks them over when she's excited. We are unable to walk her because she pulls on leash and with a stroller, I'm constantly worried she will knock over the stroller at any point. So she is looking for a home that can meet her needs. She is just not a fit for a busy family with young kids. Date of birth 2/20/13. Spayed and up to date on her vaccinations. For more info and/or to apply to adopt Cali, go to the top toolbar, click Adopt, click Dog Application; then fill it out and send it in. A volunteer will get back to you as soon as they can.